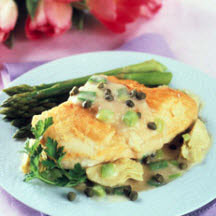 CooksRecipes has quality, kitchen-tested recipes for chicken dishes, made with vegetables, that you can count on for successful deliciousness. 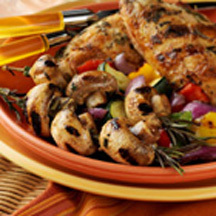 This dish includes the timeless taste of chicken on the bone with a great technique for grilling mushroom kabobs. Recipe courtesy of the National Chicken Council. 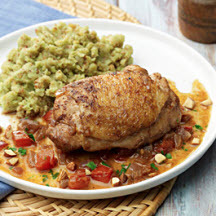 This delicious recipe hails from the Culinary Center of Kansas City—suffice it to say that it takes pan-fried chicken and gravy to new heights!